There's was Mr. and Mrs. Walnut and they had 10 daughters and for every10 daughter was a brother. How many people are in the walnut family/household ? There are 13 people in the household/ family. 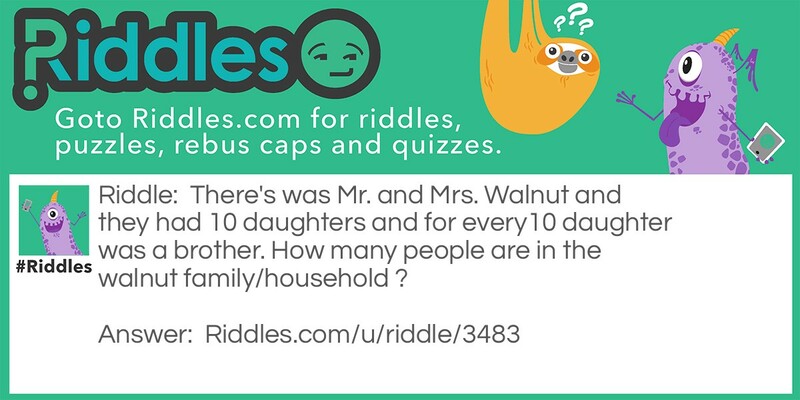 The walnuts Riddle Meme with riddle and answer page link.